For me COMSATS is not a big name in educational institutes, let me very straight forward. But yes it has got a good repute in computer sciences. But I actually heard a lot about COMSATS's Chemistry department. I have asked a relative of mine who is a student of COMSATS Islamabad to write a review of COMSATS for me. So here is the guest review by Sadaf. "COMSATS Institute of Information Technology got university charter in 2000 and today it is ranked as 7th top university in HEC ranking for research and development. This university is renowned in Pakistan for its sophistication and discipline. Its faculty and students mutually create a healthy learning atmosphere where one feels motivated and enthusiastic to learn. I am enrolled in its MS Mgmt program for last 2 years and each minute I’m spending here increase my overall knowledge base in a positive manner. The library is up-to-date and we have the facility of digital library as well. Digital library enables us to access online databases of journals and research papers. The faculty is highly qualified and experienced. Comsats offers its students bus and hostel facility. The main campus is in Islamabad and there are various campuses in prominent cities of Pakistan like Rawalpindi, Lahore, Abbottabad etc. Comsats is famous for its IT and business studies. Along with these departments Comsats is offering courses in Engineering, Architecture, biological sciences and meteorology. These academic programs are available on both graduate and post graduate levels. My experience with this university is remarkable in all aspects. I’ve learnt a lot from my esteemed teachers and colleagues. Join this university to add professionalism in your academic life." So according to her this institute is really got something to offer to its students and students are quite satisfied as well, but ME? still not impressed. But yes you can join COMSATS for its low fee and average studies. Quality of study is higher then the price of it. HISTORY: The CIIT operates under the supervision of The Commission on Science and Technology for Sustainable Development in the South. CIIT become functional in 1998 and after a good response got charter in 2000 as degree awarding institution.Since then it is providing educational facilities in more then 6 cities. BASIC INFORMATION: CIIT have campuses in Islamabad, Lahore, Wah, Abbottabad, Attock and Sahiwal. Besides of these they have planned 6 more campuses in different cities of Pakistan including Karachi, Quetta, Vehari and Gujrat. 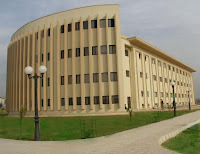 Their Islamabad campus is a vast campus covering acres of land and having a well purpose build building on it with full facilities. STUDENT TALK: I have been studied with one of students of COMSATS and also one of my co-worker was a MBA from COMSATS Lahore. What I have observed is that the quality and presentation skills were lacking in them and after talking to them about CIIT, both of them were not satisfied with the level of education of at CIIT. But when it comes to campuses and classrooms and cafeteria and lawns and library and Lab, they were like almost satisfied. Being with them is my main source of knowledge about CIIT. MARKET WORTH: CIIT haven't got a repute in market like oh you are from COMSATS, come and sit, you are selected. Basic staring level after doing MBA from COMSATS is not more then 15K average. And when it comes to Computer Sciences when you got a competitor like FAST you have to give to 200% to compete in market. But jobs are available for students of CIIT and they have a good scope for further admissions. FACILITIES: As I said above that they are facilitating their students with good facilities but their cafeteria needs to be improve in its taste and variety. Other then this, things are quit well at Lahore and Islamabad campuses of CIIT. Don't any reference in other campuses so can't say anything about them. Just hope they are also good. PROGRAMS OFFERED: CIIT offered these programs in its campuses. Website of CIIT will be open when you click here. faculty ve teachin us are all foriegn qualified.and reseach ranking of comsat in 2008 is among top 5.space for improvment is there always.but in short span of time ciit has done alot. where should i go so that my future would enlight? @ehtesham: BS CS from COMSATS is much better than the second one. @Sana, Comsats surely is a better choice. But if you have any traveling problems only then go for Hailey. I want to migrate from superior university to comsats,I am in 4th semester tell me the process..What should I do? I am not feeling anything extraordinary in Superior.. I am in 4th semester of BSCS tell me the way how can I migrate to comsats! Please! !Answer me as soon as possible that i have asked above..
is there is mass comm in ciit islmbad campus? Salam,I am a student of BS MATHS at postgraduate college,and did my 4 semesters at college ,can i do migration to comsatas? i m in BCS 4th semestr CIIT attock,can i migrate to comsat islamabad.? Now Get Intermediate Result In Your Inbox !